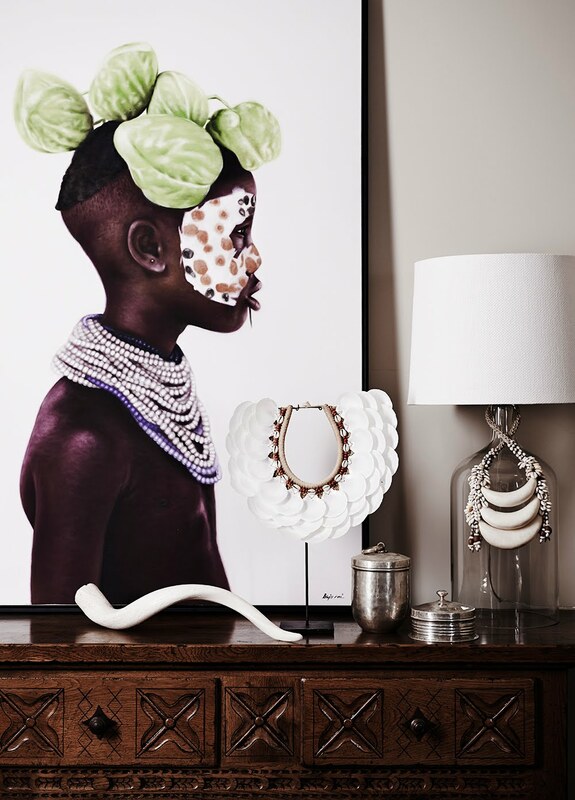 La Maison Jolie: Give Your Home an Exotic Upgrade with African Style! Give Your Home an Exotic Upgrade with African Style! A few weeks ago we took a look at tropical jungle prints that have become quite the style statement in many high end interiors and nine different ways to incorporate this popular design trend in your home. Today, we are inspired by African designs and tribal art that never cease to amaze and stand out in monochromatic black and white or in an array of exotic colours. 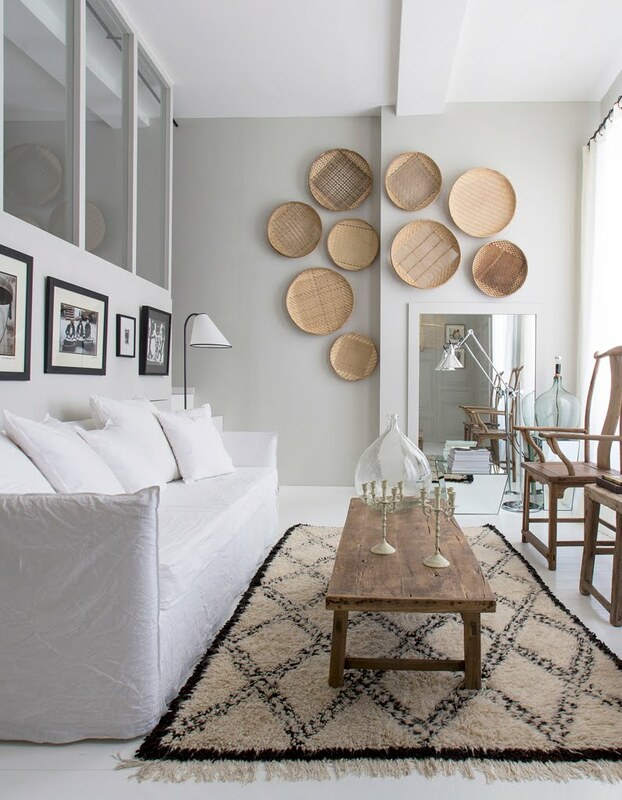 Currently, a lot of prominent interiors designers and stylists are applying conventional African tribal colours and patterns, natural textiles and textures in their design palette to create unique and opulent interiors. And this is a design trend that will only gain further popularity in 2017. Lana, our guest author takes us on a journey on how to create an exotic African inspired interior with a few simple style tips. A truly remarkable design style in the sphere of interior design comes in a form of exotic African designs, which never fails to dazzle us with its colourful features, bold textures, natural materials and distinctive art pieces. The traditional African design represents a complete contrast to the contemporary design of today’s western fashion and manages to bring an alluring tropical flair into our homes. This unique design is inspired by the rich biodiversity of the continent, fascinating flora and fauna and the magnificent cultural background has managed to create a somewhat unusual, but nevertheless extraordinary interior setting. For those willing to embrace the true essence of the African allure into their homes and capture the intriguing and artistic splendour of the Garden of Eden, make sure to introduce these elements in your next redecorating project. Capture the blend of the African savannah and its lush forests by introducing a clever mixture of earthy tones and bright hues into your home. Create a stunning and picturesque setting which will resemble the enchanting African sunset by using sand colours, yellow, bright red and orange. Dark brown, black and even white and beige can serve as contrasting colours and will add depth to the space. Splashes of bold, vivid and bright hues in random places will manage to complete the whole image and give your home a warm and captivating appeal of the African continent. The use of natural elements around the home can help you achieve that exotic African charisma, as introducing these materials will create visual texture, one of the main aspects of this distinctive design. Texture can be added in various ways, from implementing tropical plants with their luscious foliage, using wooden and leather elements, but also faux fur and wool fabrics as coverings, rugs and even tapestries. Animal prints are one of the most distinctive features of the African design, so don’t hesitate to mix and layer different prints in the room. If you are willing to create a truly captivating ambience in your home, the best solution is to rely on raw wooden furniture pieces, which have the ability to transform your home into a true African sanctuary. When choosing the best type of wood, keep in mind that ebony and mahogany are by far the best options. 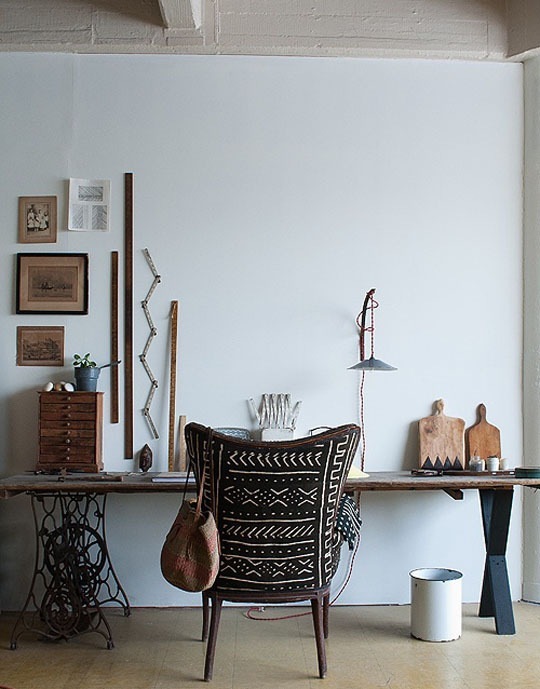 Leather or tribal patterned upholstery will surely give your furniture the style it deserves, while you can always enrich your home by adding pieces made from wicker, drum‐inspired coffee tables or rustic stools that will create that bohemian, vintage look. The unique visual culture of the African continent has inspired a lot of artistic creativity, making this territory a true artistic paradise. Artistic features are one of the main aspects in African design, and it is not uncommon to embellish your home with tribal sculptures, photographs, prints, statues and artefacts, but also large clay and wooden masks and various African inspired iconography. The beauty of African art is that it can be mixed and combined with different pieces seamlessly. Figurines, wall art installations and colourful paintings of the African domain captures the essence of its cultural roots. 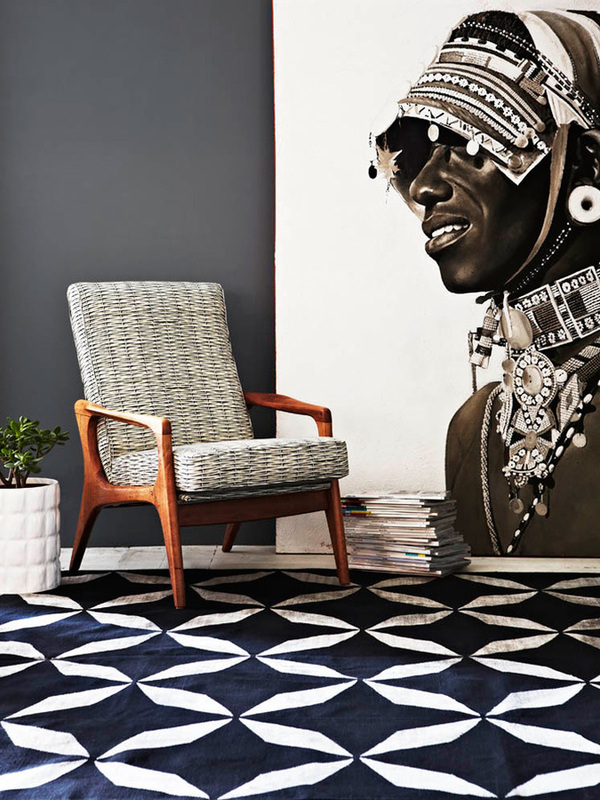 There are a lot of different ways to embellish your home in an Africanised design style. Besides genuine African art, you can implement various elements that will make your home exude with this tropical splendour. Wallpapers are a great way to introduce a bit of excitement in the room, especially with floral motifs, jungle‐inspired patterns or motives of the African savannah. 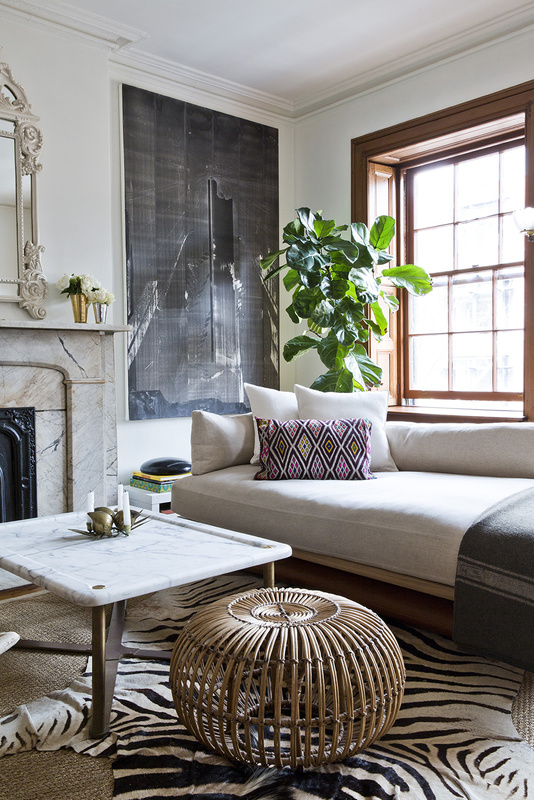 You can always opt for some abstract details and ornaments such as wicker baskets, colourful pillows or small cheap rugs inspired by animal prints or African inspired curtains and stylish window blinds. Framed African print textiles make amazing decorative pieces while specific plant life manages to capture the exotic tropical flair of the continent. 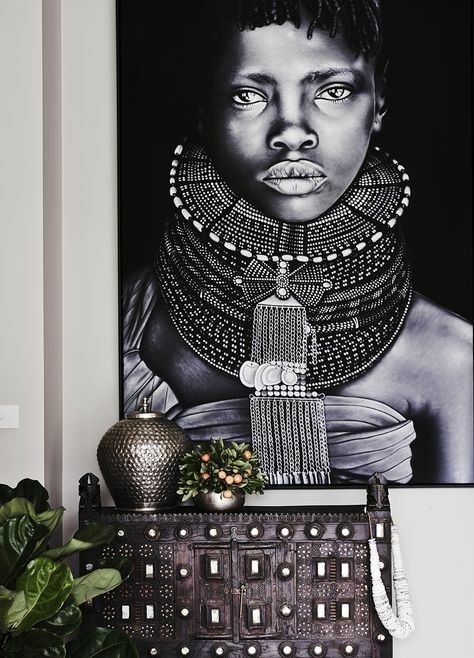 The rich splendour of the African allure can create an outstanding ambience in your home, by introducing authentic pieces inspired by the African culture. This design allows you to experiment with colours, textures and art, and transform your home in a truly enchanting paradise. Capture the African magnetism with these simple tricks and allow yourself to indulge in the delight of this design. Hope you found this post on giving your home a sophisticated and glamourous style upgrade with African and tribal design accents inspiring. Do you love this design style? 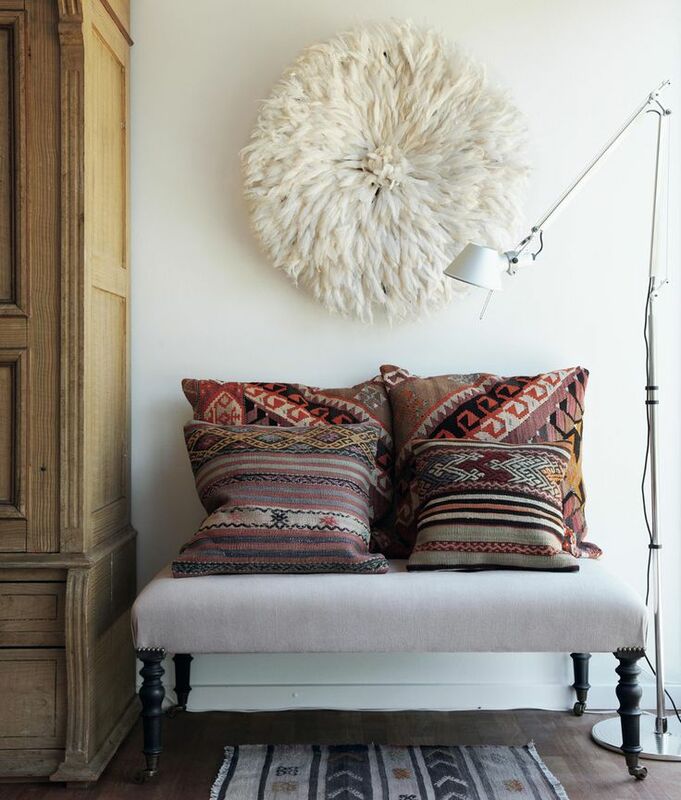 Have you incorporated exotic tribal decor in your home? Share with us in the comments below. How To Choose Art Like A Pro! 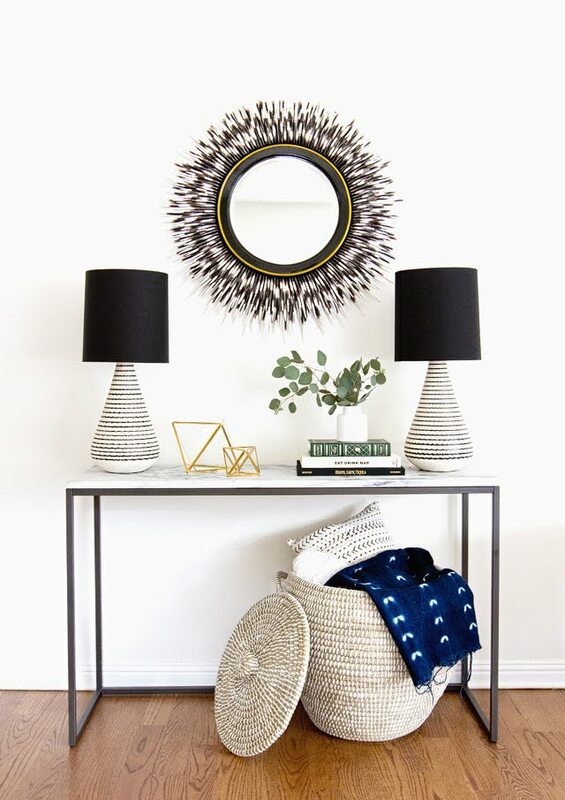 Add Mid-Century Modern Style to Your Home! Has The World Officially Gone Emoji Crazy?